During his three seasons at Anderson University in Indiana, Mike Young could strike out batters. By the end of his tenure at the school, Young rung up an average of 9.44 batters per nine innings pitched. In all, he pitched 170.2 innings for Anderson from 1988 to 1990. When he left school, Young's strikeout mark was good for seventh best in school history. Since, only one Anderson hurler has bested his total, according to the school's record book. It was in 1990 that Young went pro. As a pro, though, Young couldn't match his college strikeout totals. His pro career also ended up being shorter than his college one, seeing time in just two seasons. Young's career began that year in 1990, taken by the Cubs in the 11th round of the draft out of Anderson. 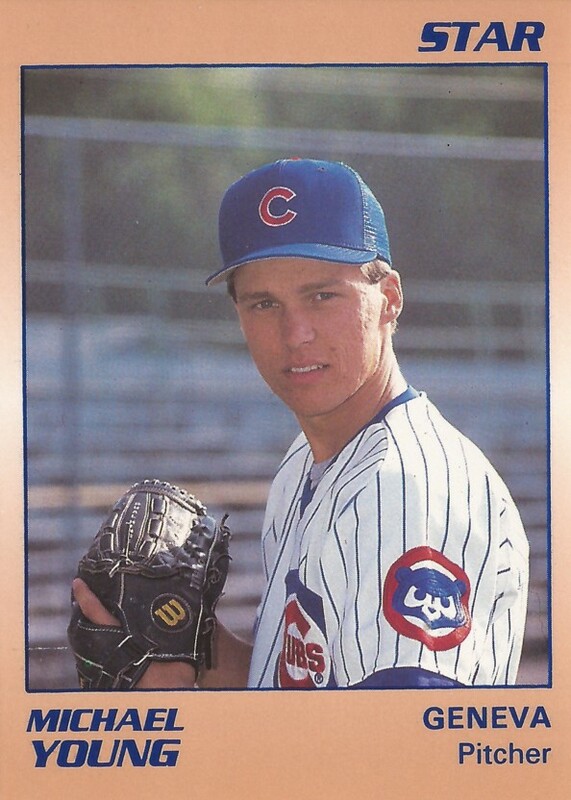 With the Cubs, Young started at short-season Geneva. His season, though, was really short, just a single outing. He went one inning, giving up one hit and no runs. Of the four batters he faced, he struck out two. Coming back for 1991, Young pitched in a total of 23 games at Geneva, starting three. He went 2-4, with a 4.76 ERA in 51 innings of work. He also picked up a save. His strikeout total came in at 31 that year, walking 32. It was his final year as a pro.